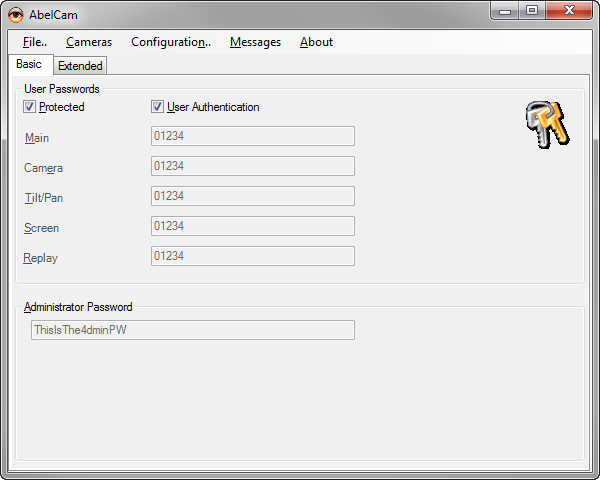 Extended mode with user authentication is available only with both "I am a AbelCam Expert" and "Use BETA features" in Configuration/Options checked. If no password is set, no authentification is required. 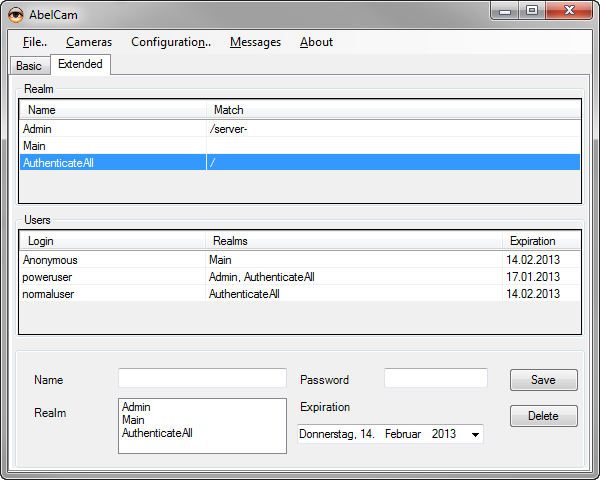 AbelCam does not check the user name entry in the authentication, only the password has to be correct. 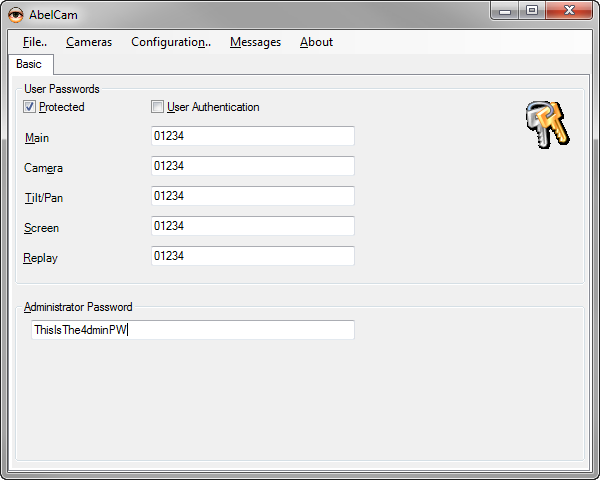 *) user authentication is available only with both "I am a AbelCam Expert" and "Use BETA features" in Configuration/Options checked. Realms define areas for authentication. You may define as many realms as you like. Users have Login names, passwords, a expiration date and realms. The Anonymous user is predefined and is used when there's no authentication. All other users must have at least one realm assigned. In the example above, the AuthenticateAll realm causes all URLs to require authentication. The user poweruser may access all web pages including admin pages. The user normaluser can access all normal pages excluding admin pages. Anonymous has only the Main realm assigned. As the realm AuthenticateAll includes all possible URLs, authentication is required for all URLs and Anonymous does not have access.